In "Participating in God," Paul Fiddes seeks to develop an image of God that is both appropriate to the demands of pastoral care and firmly grounded in the revelation of God. He explores the way in which pastoral care shapes our doctrine of God and how faith in the triune God in turn shapes the practice of pastoral care. Fiddes elaborates on the Trinitarian context for the pastoral acts of intercessory prayer, suffering, granting forgiveness, the facing of death, the exercising of spiritual gifts, and the sacraments. Participating in God: A Pastoral Doctrine of the Trinity by Paul S. Fiddes was published by Darton Longman & Todd in November 2000 and is our 20908th best seller. 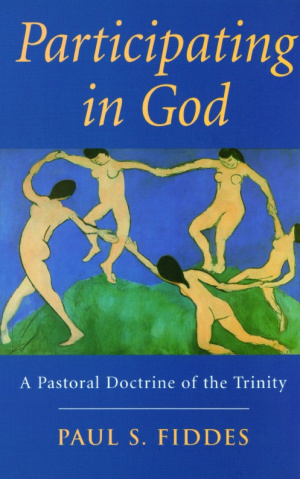 The ISBN for Participating in God: A Pastoral Doctrine of the Trinity is 9780232523782. Be the first to review Participating in God: A Pastoral Doctrine of the Trinity! Got a question? No problem! Just click here to ask us about Participating in God: A Pastoral Doctrine of the Trinity.